The PlayStation Store charts for March 2019 have been released for North America, detailing the top selling digital games for last month. On the PS4, newly release Tom Clancy’s The Division 2 was the top selling title. Two other new titles also made it into the top 10. Sony has revealed the new games joining the PlayStation Plus line-up in March 2019. Two new PS4 games will join PlayStation Plus on 5th March 2019, and will include Call of Duty: Modern Warfare Remastered. The January PlayStation Store charts for North America reveals that Kingdom Hearts III was the top selling title last month – despite being on sale for only a few days. It was followed by another new release: Resident Evil 2. The PlayStation Plus line-up for February 2019 has been revealed, and includes two big titles on the PS4. 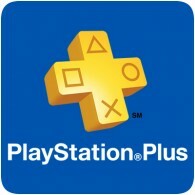 It’s also the last PlayStation Plus update to feature PS3 and PS Vita games, ever! The PlayStation Store download charts has been released for North America, revealing the top selling digital titles last year. But who were the big winners in 2018? On the PS4, it’s no surprised that Call of Duty: Black Ops 4 was the top selling title. The PlayStation Store charts for December 2018 have been revealed for North America, revealing the top selling digital games over the holiday period. On the PS4, PUBG was the top selling title thanks to a PlayStation Plus promotion. Sony has revealed the list of games PlayStation Plus subscribers can look forward to in January 2019. The six new games are worth a combined total of £32 according to Sony, and will be available to download from 3rd January 2019. The final PlayStation Plus update for 2018 has been revealed, and includes six new games for PlayStation Plus subscribers to download from 4th December 2018. 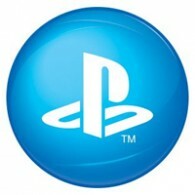 On the PS4, subscribers can look forward SOMA and Onrush, along with games for the PS3 and PlayStation Vita.